It’s time to stock up on hoodies and fleeces! Still need to register for PTO? Please read our Indian Trail 2018-2019 PTO Welcome Letter for details on registration, placing orders for yearbook and ice cream days and volunteering. PTO Membership is required to order Marla's Lunch. Your Marla's brown bag lunch code will be delivered when you purchase membership. In order to purchase lunch you will need the specific IT code and also your child's teacher. Help out during STEAM when students have the opportunity for hands-on learning experiences focused on Science, Technology, Engineering, Art and Mathematics. Participate in general garden/greenhouse maintenance, including weeding, pruning, and harvesting. Maintenance is supervised by a member of the Organic Gardener staff. No prior gardening experience necessary. Dress appropriately for the weather! Assist the Organic Garden staff in preparing and leading hands-on activities for the 3rd and Kindergarten grades during recess. Activities include watering, harvesting, searching for bugs, and garden education. No prior gardening experience necessary. Dress appropriately for the weather! Assist the Organic Garden staff in preparing and leading hands-on activities for 5th and 2nd graders during recess. No prior gardening experience necessary. Dress appropriately for the weather. 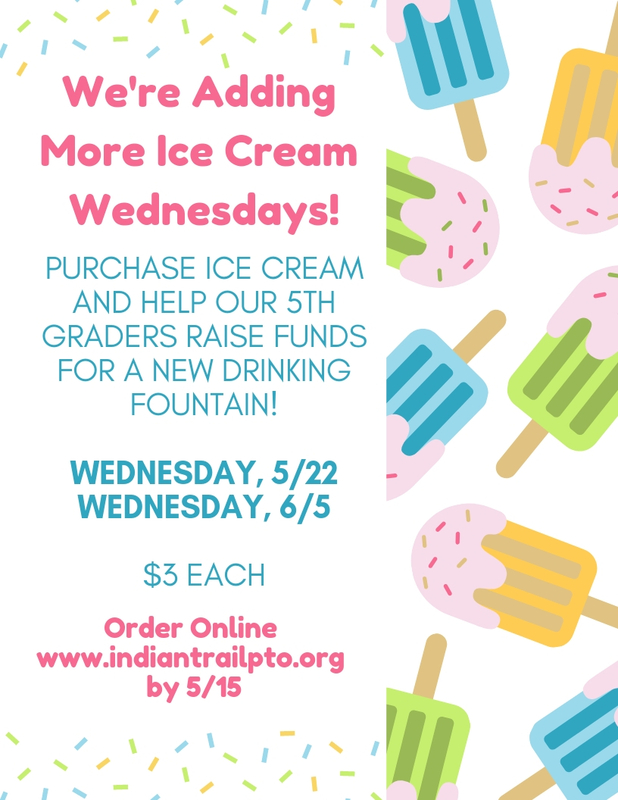 Order ice cream for your favorite Indian Trail student. This will be served during lunch on the second Wednesday of every month. The cost is $3 per month. 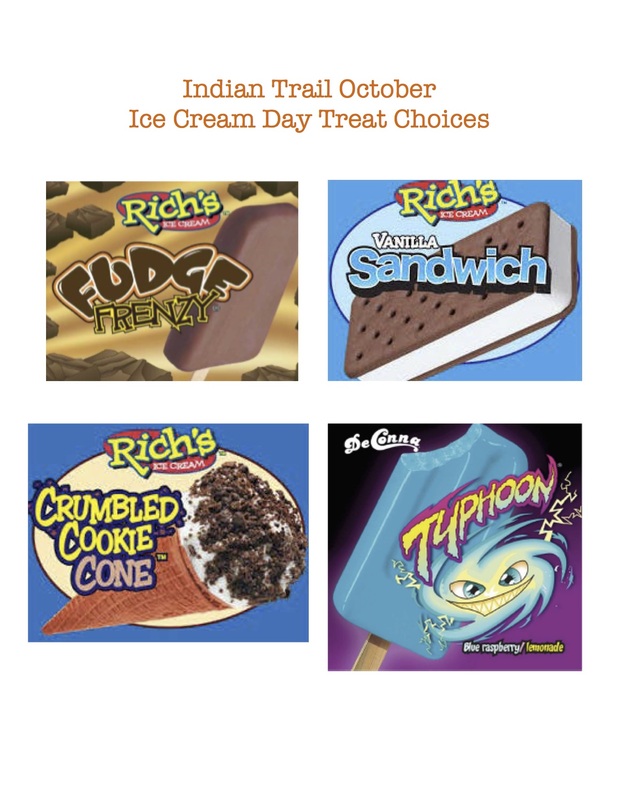 Click here to order for Ice Cream Wednesdays. Click here to volunteer for Ice Cream Wednesdays.